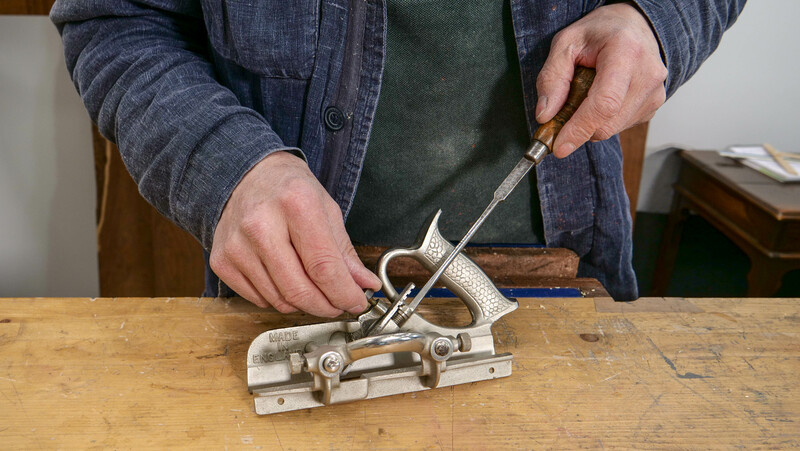 When using a plough plane, the cutting iron can be set deeper than a smoothing plane as it is narrower and therefore requires much less effort to push into the wood. The cutting iron sometimes go under the wood’s surface fibres and causes them to tear because the side walls at the surface level are not severed. 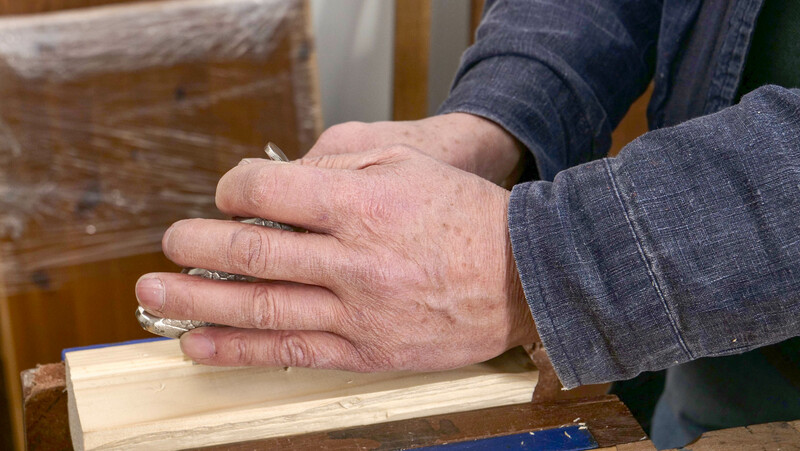 To better establish the side walls and avoid tearout, use a marking gauge to pre cut the wood fibres then use a knife to deepen these gauge lines. 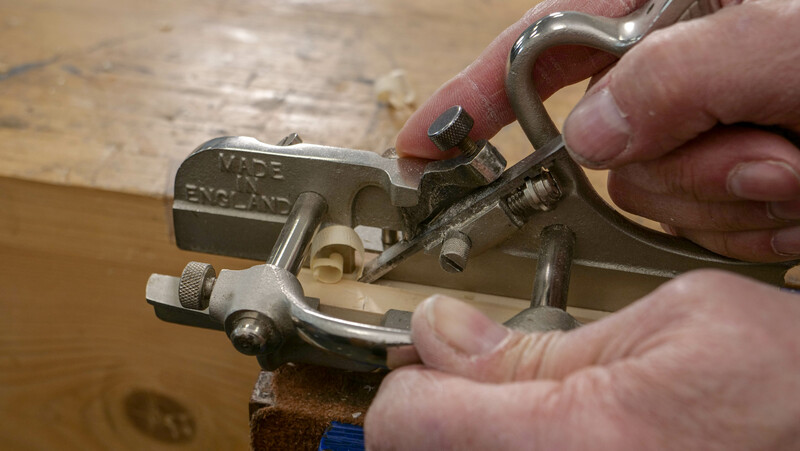 The iron must be finely set to begin with to allow the groove to be created and the walls to be strengthened as subsequent cuts deepen the groove. Once a shallow depth has been established, then a deeper set can be used. 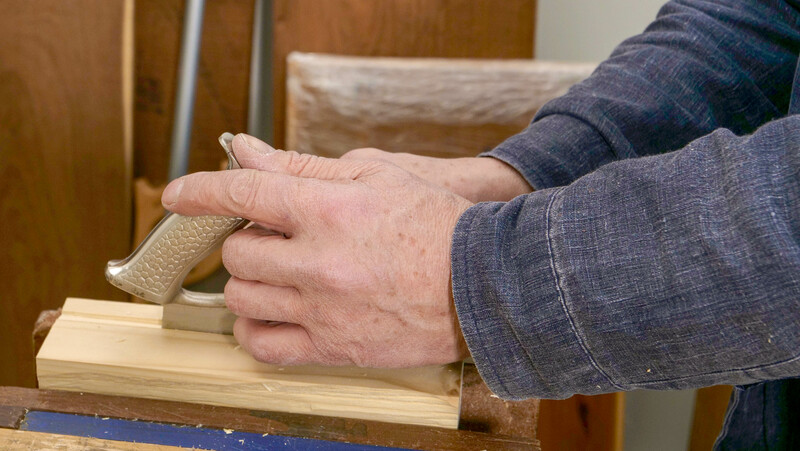 To use, grip the back handle with your right hand and the side handle with your left hand. 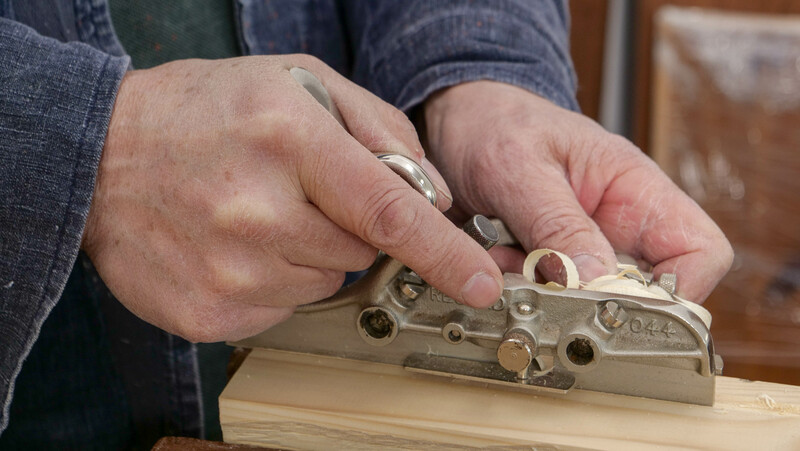 Do not press heavily down as you push the plough plane as the cutter and weight of your arms and hands will pull the cutter down into the wood. 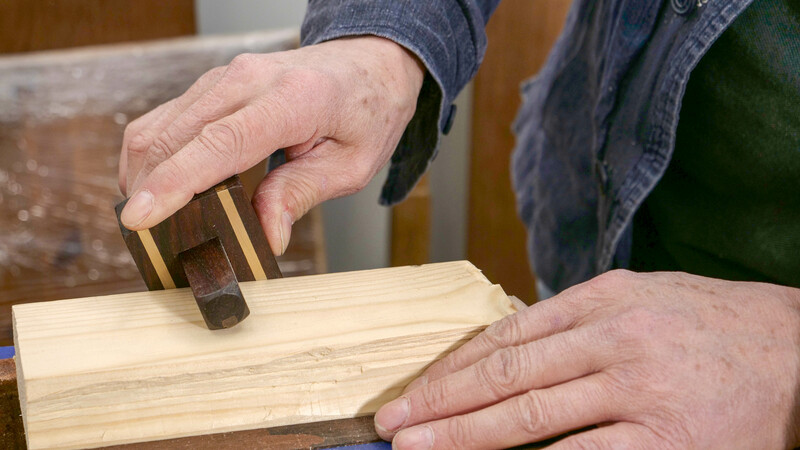 Start with short, small strokes and apply lateral (sideways) pressure towards the side of the wood, making the strokes longer each time. Start at the end of the stock, taking short shavings and then moving gradually backwards taking longer shavings. 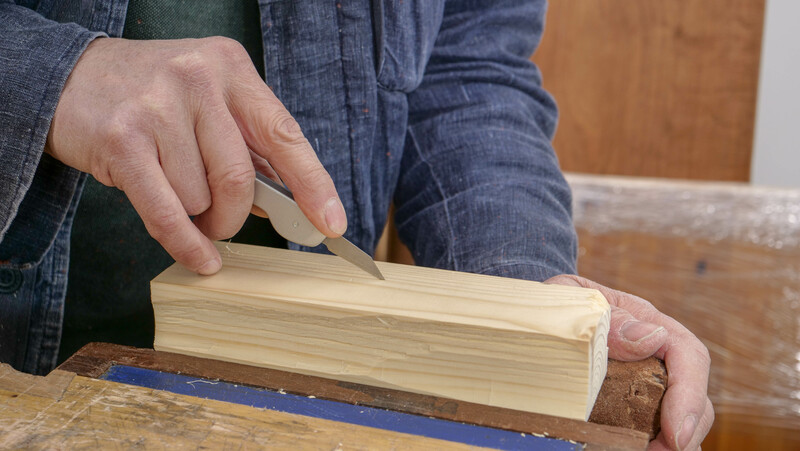 Continue this until you are at your final depth at the end of the cut and work your way back along the ploughed groove until the full depth is achieved and the stop prevents further cutting.